Want to send your travel fears packing forever and ever? Want to emerge as a more confident person who not only travels, but knows what s/he wants and makes no apologies for it? You'll receive special tips and support through my mailing list! Don't worry. I hate spam too, haha! Greetings! My name is Rachel Elizabeth. 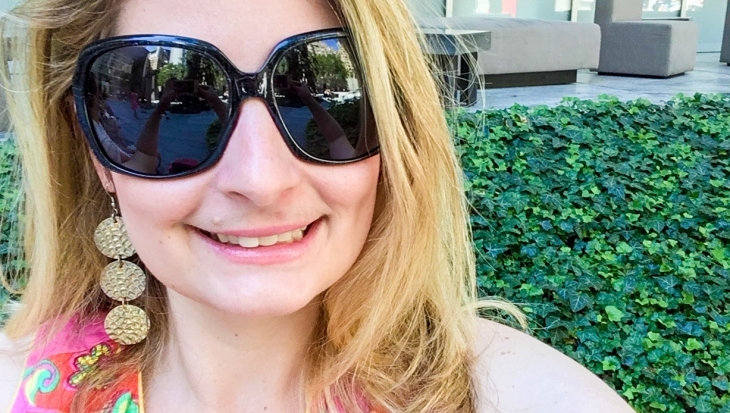 I’m an English teacher and voracious reader who loves to take solo trips around the world. So far, I have been to 20 countries and have many more trips planned inside my head. Not to mention, I’ll travel in my own backyard (also known as New Jersey and New York) if I’m unable to jet to a new exciting place. As a person, exploring is what I do best. Did I mention I’m terrified of flying? I might have picked the wrong hobby! But I’m living proof that you can follow your dreams even if they happen to scare you. Join me as I encourage everyone – fearless and nervous – to travel the world! Travel anxiety doesn’t stand a chance against us. Let’s go. Learn all about me here! What Should I Do if I Feel Anxiety Traveling Alone? Shakespeare Travel Quotes: Go and Roam the World!